2017年08月09日 - (8/12スタート!) 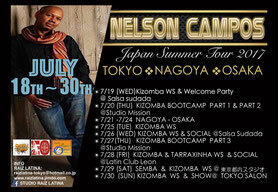 新規メンバー募集！EO KIZOMBA PERFORMANCE TEAM!!!!! 2015年08月19日 - 【９/９wed】Bailemos Latin Party Special!!! 2015年08月19日 - Manbo Night Fever special!! !